Sony Playstation’s Content Pipeline web application is a global initiative to modernise the submission of triple A games titles. This was a collaboration between Playstation, Portaltech & Accenture to develop a consolidated game publishing platform. I was brought in to work on wireframes, user journeys and the front end UI design as part of a small team in the context of agile development. The design work was informed by qualitative research and a user centred design approach. Games publishers make their submissions via region specific platforms, the objective in this digital transformation project was to centralise the publishing process. This required that we develop an integrated system to span all four Sony regions (SIEE, SIEA, SIE-Asia, SIE-Japan). The question we had to ask was "what would the ideal submission process be like to use"
The user research by Foolproof that preceded our engagement demonstrated the following. I always know what I need to do next. I never have to do anything twice. I feel in control of the process. It’s easy to find, use and share documentation. The research based insight into these design solution was conceptualised in response to a series of interviews, held with games publishers to develop a more informed understanding of user needs. It helps me prevent mistakes. 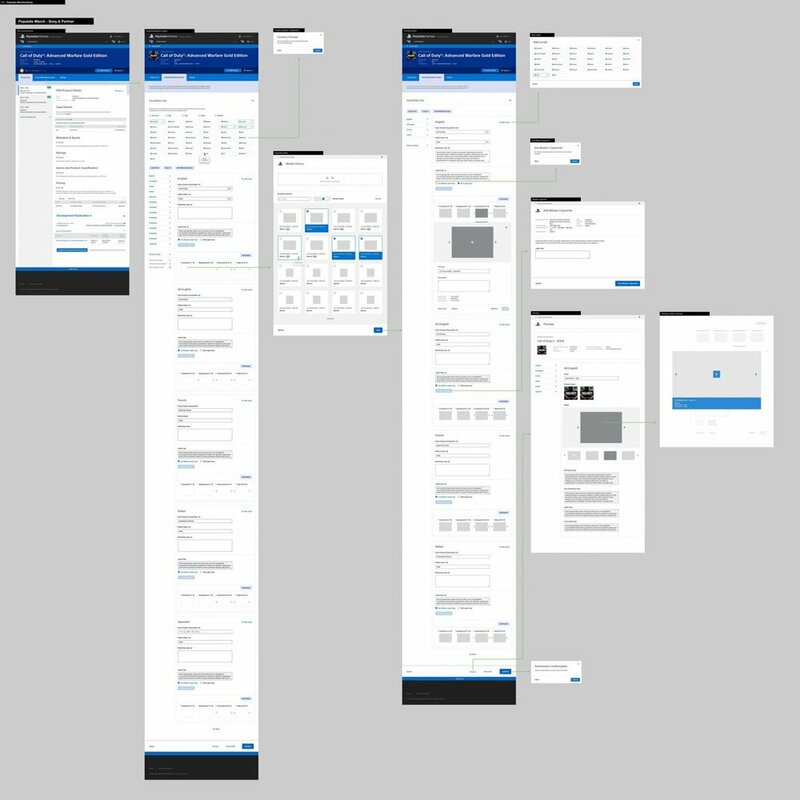 Following this we worked with BA's and Architects to define user stories and task flows that would inform the wireframes and finally, the UI design that Jon Welch and I lead. Once all the design requirements had been supplied we created a multitude of visual flows, defining a comprehensive UI design kit that was documented in a progressive UI Style Guide. The aim was to keep a consistent visual design language that could be applied across all work packages. As the analysis of requirements and functional specifications were continuously developed my team and I began prototyping the visual design work using Invision, taking regular feedback from the client. See the next case study for the Smyths Toys project.